Perhaps the reason that I love orienteering so much is the fact that people all over the world, regardless of where you are, are ready to welcome you the second you utter the word orienteering (just as long as they themselves are orienteers!). I have found the orienteering community here in Wales just as welcoming and interested in helping me as an orienteer as the orienteers in Norway. 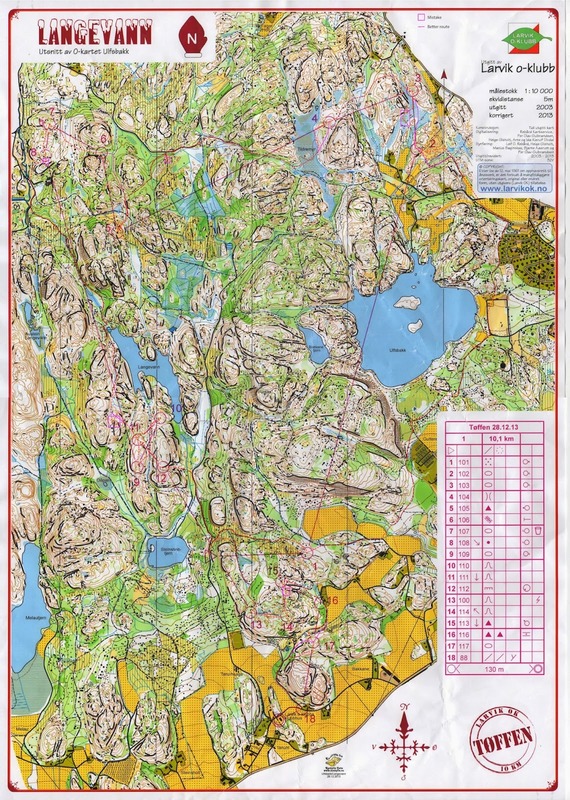 I most definitely would not be half as confident and determined an orienteer as I am now without the help of the Norwegians, and I hope that I can continue to improve here in Wales. My introduction to Welsh orienteering started on a Sunday quite some time ago (the 22nd of October to be precise). As those who have run in Welsh terrain before will know, the worst enemy of the orienteer in the United Kingdom is a plant known as the bramble. I encountered this prickly species for the first time, and promptly got stuck in it for a good 10 minutes. Up until that point, I had been having an excellent race. I felt in control of where I was, and I was running at a fairly good pace. I figured: it’s only a couple meters…what could go wrong? As it turns out, what could go wrong is that you could sit, suspended in mid-air, and the brambles could hold you up. 10 min later, I was free, covered in scratches, had new rips in my clothes and was a lot warier. I was promised that this first map was one of the worst in Wales in terms of undergrowth. I remained skeptical until my next race. The next series of races I was introduced to were not in Wales, but rather near Bournemouth in southern England. Saturday morning found me getting up bright and early and meeting up with an orienteering family who lives not far away and had agreed to pick me up. I met them at 7:50 – after having reluctantly pulled myself out of bed – and we were off! As we were driving the four hours to southern England, I studied the map and found a town called Canada! We arrived with about an hour to spare, during which time we set up the team tent and readied ourselves for the race. I also got introduced to a plethora of friendly Welsh orienteerers, putting my weak ability to recall names to the test. This series of races were part of the Junior Inter-Regional Championships, or JIRKs. I had 7.3 km to run, and was getting relatively nervous, but was soaking in the atmosphere. I found the first race enjoyable, and I thought it went well…until I hit that deadly control. I must have run within 40 m of the control, but ended up circling around and around until I finally spotted it. To be fair, it was on a bit of a tricky feature. It was incredible to be back in the woods and to run like the wind. At times, I felt like falling over on the hills, but then I would hit a control bang on, and my energy would come right up. In fact, I would say that this was perhaps the race that I remained the most focused yet. About halfway through, a girl I didn't know but who was on the same course as me, caught up to me. I was determined not to let her beat me to the finish, and I kept to that. Sometimes, we would go different ways to the controls, but we almost always arrived at the same time. As we came to the spectator control and the last loop, I put on a bit more speed and left her behind. Admittedly, she also messed up on one of the controls. I finished the race in high spirits, and was very pleased to find out that the girl I had been running with is one of the top girls in England for her age! Mightily pleased that I had managed to keep up with her, I was even happier when, upon downloading, I found myself in 3rd place out of the 10 girls who had come in, and that I was only 4 min behind the leader. I also knew where those 4 min had disappeared: where I had gotten lost. Not bad, I thought! In the end, I came in 8th (or rather, tied for 8th) and I was 15 min behind the leader. However, I was still incredibly pleased with my race as a whole, especially as I had not orienteered in the last month and a half. I was also overjoyed when one of the other Welsh W-18 came in third! Sunday brought on the challenge of the relay. The relay teams were composed of a 14, 16 and 18 year old, with the 16 year old running first, the 14 year old second and the 18 last. This time, the forest was an open section, with a few marshes and a few wooded sections. I was on the second Welsh team, as one of the other 18 year olds had beaten me the day before. My 16 year old came in ok. She had had a few problems, but for the most part had been solid and had not had many mistakes. I started to warm up and then headed into the quarantine area, where I got my map (but I was not allowed to look at it, as it was sealed with a sticker. You broke the sticker before you began running). There were no 3rd runners out at this point, and when the first two 14 year olds can into the exchange area, both of them Scottish, we all groaned. However, approximately 20 sec. later, Welsh’s first team’s second runner came sprinting in and handed off to the last runner! We all were pretty confident that the Scotts would be caught, but I didn't have time to worry about that because my second runner was running up the finish shoot! I started off just after a girl from the South-East of England, and we ran together for a few controls until we caught a bigger group of girls running the same course. We all ran together from then on, but I lost them as I made a mistake, and they all didn't. It is unfortunate, and I had really been looking forward to sprinting up the shoot with them, but alas, it was not to be. I recovered; I caught the girl from South-East again as well as a boy wearing a neon yellow t-shirt. Towards the last few controls, I started to pull ahead again and by the time I was coming down the finish shoot, I was alone. I really enjoyed the course. The open terrain made for high visibility, which I took full advantage of, but many of the controls we stuck in pits which were not visible until you were right on top of them. 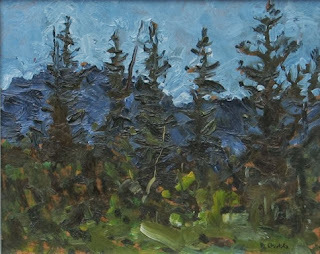 I also found the transition between forests and open a challenge to keep in mind and to move between. We ran in to 12th, and the 1st Welsh team ran into 1st! We were all extremely happy! The other great outcome was that, for the second time in history, Wales came in fourth overall as a region! Most of the time they come in 6th or 7th, so we cheered the loudest of any team. The organizer even proposed – jokingly – that a trophy be awarded for the team which makes the most noise. We would surely have won! The most recent of my orienteering races in Wales brought me to northern Wales. I love that orienteering in Wales is allowing me to get to know Wales more than I ever would be able to were I not an orienteer. For this race, Mark, the Welsh coach, picked me up Friday evening and we drove up the coast to Aberystwyth and stayed the night at some orienteeres’s house. In the morning, we ate a quick breakfast and then headed off to the northernmost corner of Wales, which is, in fact, an island. Saturday’s event consisted of two races: one in the morning and one in the afternoon. The morning determined your start for the afternoon. If you were 10 min behind the leader, you started 10 min behind them in the afternoon. The goal was to then catch them. The winner was the first one across the line. I had an absolutely terrible race in the morning. I was insecure in the scale of the map (1:5000), and there was so much detail. I kept running past my controls and then had to turn back just in time to get even more lost and confused by all the contours and terrain that looked so very similar. Needless to say, I was in no position to win in the afternoon, and so decided to treat it like a brand new race, and while it would be fun to pass people, I was not going to make that my goal. I was happy when I crossed the finish line. The race had been loads better than the morning, and I had come up quite a bit in the rankings. I only had biggish troubles with one of the controls (a series of depression in a patch of green…) although I was not the only one who got a bit turned around. Sunday morning we woke to the sound of the younger kids singing at the top of their voices, slightly out of tune. 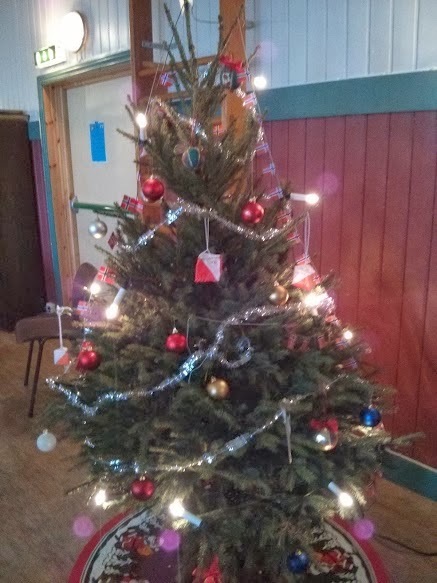 After the seemingly traditional English/Welsh breakfast of porridge, we cleaned the hall. Then we checked the start times. I found that my time was actually 11:00, as opposed to 12:00 as I had previously believed. We got to the area in time for me to have a quick warm up before starting. I was unsure about this race, as the area was supposedly even trickier than Saturday and it was yet again another scale. The first control, however, went well, and I started to gain confidence. As the course flew by, I felt really good. I was hitting every control bang on, and although my speed might have been leaving a bit to be desired, I was completely concentrated on my course and where I was. I was even finding it pretty easy to ignore other runners! Unfortunately, my great race couldn't last forever. As I was running to my 9th control, I looked at the number: 189. I then came up over the rise, saw a small depression, and there was a control! The number was 119. I was really disappointed, and a bit stressed, but realized that I may have run a bit to the left, and so headed off…and got thoroughly confused. There was simply no other control. I checked the number for the 9th control again. It was 119. This was amazing to run on - so much detail! My next 3 controls were not perfect. I was running, distracted, thinking about the time I had lost by not trusting myself, and not about where I was running. I lost time. I managed to pull myself back together, although not in time to win any medals, but I ended fairly happy with my race and my placing. 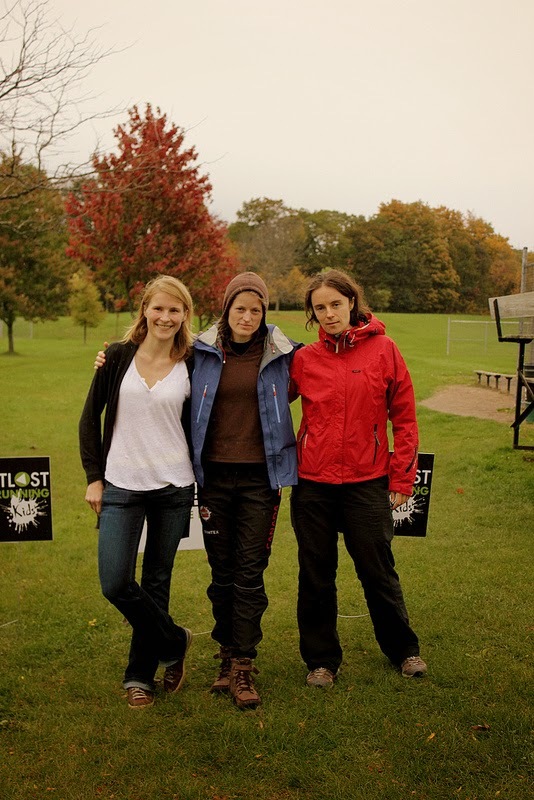 I can’t wait for the orienteering season to start up again in the spring: it promises to be brilliant! After a highly underwhelming Nordic ski career, I felt convinced that I was never going to go anywhere interesting for sport. After what is now my 4th trip to China (well, third and a half, one trip was only 10 hours long), I feel like I can almost say in a casual tone, "yeah, its cool, just heading over to China again, no biggie". Although my approach to China has morphed from wide-eyed terror of an extremely foreign country to casual familiarity, it never diminishes my excitement and honour of the invitation to go on these trips. Carted around in a style as close to a 'professional athlete' as I'm probably going to get, being on a level playing field when it comes to familiarity to the race terrain, and hanging out with orienteering's elite, guys who normally are in a different stratosphere of performance (and usually stay in the nicer hotels). This trip featured 4 races, a sprinty-middle prologue, followed by a sprint, middle and another sprint. 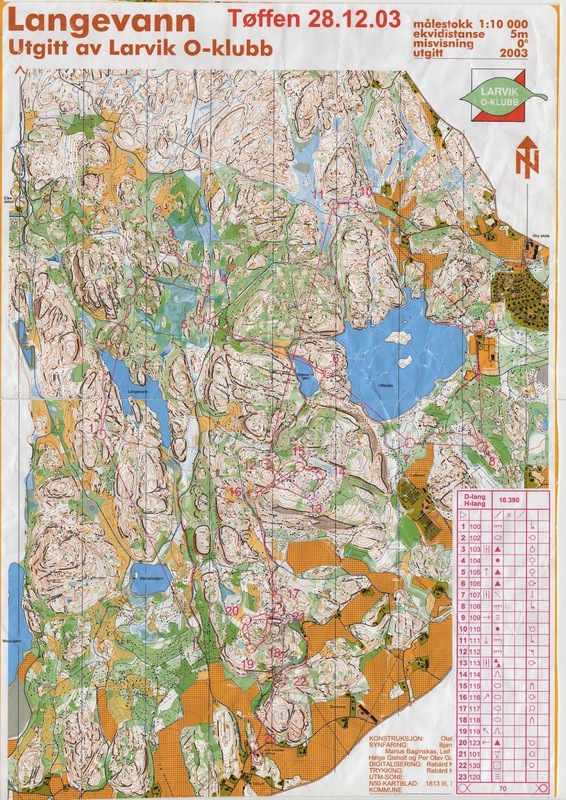 The first three races were again in Changchun in the north of China in conjunction with the Vasa Orienteering Festival, held by the Nordicways Company. Nordicways hosts a variety of different sports events in China, from the Vasa China, to multi-day running events, and cycling tours. This year their road cycling tour actually had a stop in North Korea! That alone *almost* convinces me to go road cycling more often! 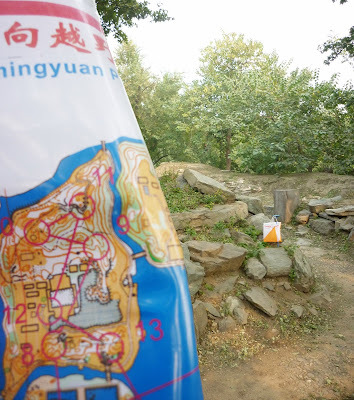 Despite really enjoying sprinting in China, I think the vast majority of orienteers are also really interested, myself included, in what mysteries we will find in the forests of an extremely foreign country. I've blogged before about the ridiculous and amazing rice fields of Southern China (here), or the unique areas of Hong Kong and Guangzhou (here) so one can never be sure of strange and wonderful things one might find. As it turns out, one also finds white forest. Like... immaculately straight white forest. Spooky. But seriously, the vast majority of Asian people I meet are very humble and say that they're terrain is not as good as that in Europe, but this could have been straight out of any number of European countries. Stage 3 was a middle distance, on a small map just outside of Changchun. Despite being a small area, it was a very pleasant combination of white forest, some slower green, some open, and small ridges that required keeping track of which one you were on and where you were along it. There were no big climbs, but a thousand small ones that would eat away at your energy, and small enough that required you to keep running right over the top. It was fast enough terrain that you really needed to keep your foot on the gas the entire time, since mistakes were going to be few and far between. L'il bit of forest, l'il bit of open. After a "quick" trip back to Beijing, we closed out the week with one more race, in the park of the Ruins of Yuanmingyuan. Part of this park was the first ever Chinese map I ran on in 2010, and is a pretty special area. Traditional park, to be sure, but a mix of islands and bridges where, in a straight line, your control is only 150m away, but the way to it requires doubling-back in any number of directions and trying to choose the best way around. In this type of area, bridges are not your friend. Lovely, yes, but also slow. Its an important realization that the planner gave ample opportunity to recognize, since it was mid-way through the course. 6 bridges vs. 5, which route was faster? Throughout the whole week, I never had any major disasters, and happily hovered right in the middle of the pack, ranging between 11th and 18th out of a group of 25. Its a great situation because there are the ultra-elite guys to chase after, and lots of really good runners that can battle it out as well. I had ample opportunity to talk to the hotshots about their training, and have compiled some ideas to try implementing over the winter. China is always a refreshing change from what seems like a typical European trip, and now I'm so excited for 2014 to start. VO2 Max test on Wednesday. Let's get it started. So, you're there a week, what else does a guy do in China when not orienteering? Well, number 1 - sit on buses. Or in airports. Or on trains. This is, unfortunately, an inevitable aspect of China. When a Canadian tells the average Chinese person that there's traffic in Canada, they just laugh and say "No no no, you have NO IDEA what traffic is". There are more than 5 million cars on the road in Beijing, but only 4 million parking spots. Add to the fact that they generally drive like maniacs, it makes for quite the adventure. A slow, slow moving adventure. And of course, taking pictures at China's earnest but poorly informed attempts at English signs. Once again, a big thanks goes out to Nordic Ways, the company that brought us to China and put on these great events. If you have ever given any thought to orienteering, nordic skiing, running, or cycling in China, give them a look for some amazing events across China. In particular, thanks to Jaroslav Kacmarcik and his great race planning, Torbjörn Pettersson for his handling of all the crazy things that seemed to go wrong that were fully out of everyone's control, and to Gåvert Wååg, head of Nordic Ways, and the rest of his team for making it all happen and giving us this opportunity. 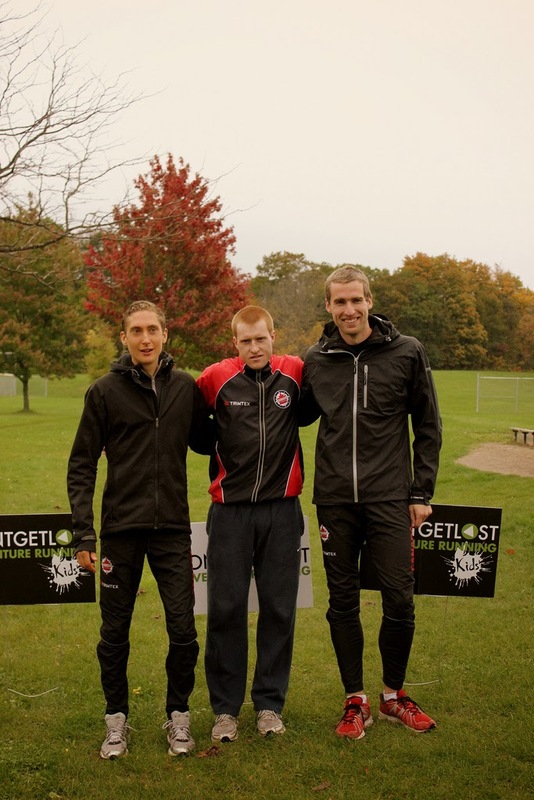 The sprint, middle and long distance races at the Canadian Orienteering Championships in Hamilton were the last of 14 Canada Cups held in 2013. At each Canada Cup race, participants in the men's and women's elite classes receive points based on their placing. Louise Oram from GVOC won the women's category for the 3rd year in a row with 153 points. Catherine Hoofd, a former member of the Belgian JWOC team currently living in Vancouver, placed 2nd. Galyna Petrenko from Ontario club VO2 was 3rd. The men's competition came down to the final race and a tie-breaker. One of Damian Konotopetz's (CdeB) major goals this season was to win the Canada Cup series to prove that he could be consistent and have many great performances on all different types of terrain. Damian came into the Canadian Championships weekend with a 14 point lead over second place Magnus Johansson (GVOC) and a 22 point lead over 4th place Will Critchley (EOOC). However, 1st place finishes for Will in the sprint and the long left both Damian and Will with 134 Canada Cup points at the end of the competition. If athletes end up with the same overall score, it is the overall score in the Canada Cups which are WREs that decide a winner. Damian managed to eke out a win on the tie-breaker by scoring 30 points in the WRE Sprint and 23 points in the WRE Middle for a total of 53. Will scored 40 points in the sprint and 12 points in the middle for a total of 52 points. Serghei Logvin (GHO) was 3rd. When all Canada Cup points are tallied by club, GVOC places 1st with 504 points, CdeB 2nd with 214 points and GHO 3rd with 204 points. Despite a commanding lead in the point totals for the past 3 years, GVOC will have to watch out for the other clubs in 2014 when GVOC heavy-hitters Louise Oram and Thomas Nipen move to Oslo. After the middle distance race today at the Dundas Valley, Damian and Louise still lead the standings in the Canada Cup Elite Series. Louise Oram asserted her dominance over the field with a winning time of 34:49, beating the second Elite Series eligible runner and her closest contender, Catherine Hoofd. Carol Ross came in a cool third, edging her up to 7th place in the standings. On the men's side, Serghei Logvin secured 40 points, with only a 12 second lead over second place man Eric Kemp. Damian Konotopetz picked up 23 points in third place, securing his lead at the top of the standings. It is still possible for Will to take over the lead from Damian, but it will be a tough battle... stay tuned for the final results tomorrow! You can view the full Canadian Champs results on Attackpoint. Canada Cup Standings ~ Sprint down, middle and long to go! The Canadian Orienteering Champs sprint took place at McMasters University in Hamilton yesterday. Our Canadian Champions are Will Critchley and Louise Oram. You can see the full list of results here. 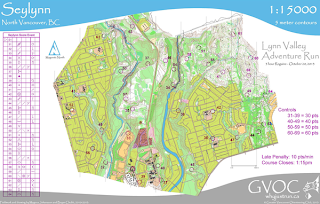 Today is the middle distance, being held in the Dundas Valley. Stay tuned for an update on the scores either tonight or tomorrow morning... it's going to be a close one! As I'm sitting in the airport waiting for my plane I figured I would give everyone a peak at an item I'm bringing with me to the silent auction. 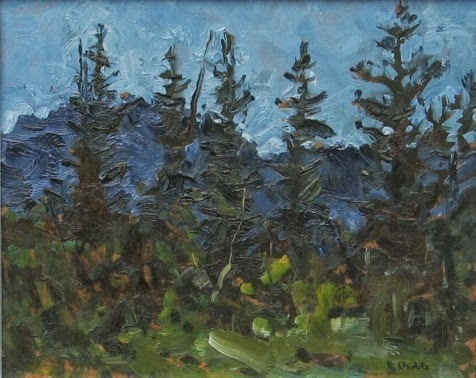 Painted in the 1980's possibly at Myrtle Lake, BC. Don't forget your wallet and remember you can always appoint someone to bid for you if you are not able to make it to COC's. Just give them an idea of what you'd like and a price limit. There will be plenty of goodies up for grabs, and the HPP will be very grateful of all your support as always. Alberta Champs were held this year in and around Calgary. It was uncertain for a while if they were going to happen as there had been extensive flooding in Calgary and area in the spring. This caused areas that were to be used for the events to be closed and damage to roadways that will take a long time to clean up. However, with a team of very dedicated volunteers, new locations were found and the weekend turned out to be wonderful! A big Thank you to all of those numerous people who put a lot of effort in with short notice and made this weekend so great! The weekend started off with a sprint at the University of Calgary. For me, who had not been on a map since the spring, it was a good wakeup call with some fast paced decisions and a reminder of how I need to do more intensity! Super fast and fun race! The second event was the middle on the new Connop Creek map near Bragg Creek. As previously mentioned I had been unable to do any orienteering over the summer so my goal was to take it slow enough that I would stay in contact with the map and not have a large error. It worked for all the legs but two... and those legs didn’t go so well... one was particularly bad. We were warned before the race to make sure we knew the symbol for ‘rough open with scattered trees’ as some areas had been recently clear cut. This was very good advice, some areas had so many fallen logs it took nearly all my concentration to move, faster than a walk, through them without falling! (not that I can blame my navigational errors on the logs, in fact I would have been faster on a particular leg if I had walked…!) It was a good learning day (as messing up in orienteering always is!) And as I had volunteered for control pick up, I got to head back to the area I had trouble with in the race, for more learning! The Sunday brought us the long event which was a gruelling 310meters of climb on a 6.3km course. Oh boy did I feel my legs after this weekend! After my abysmal control the day before my plan for the long was simple. Choose simple rout choices (taking into account elevation) and stick to them. It worked well. I wasn’t the fastest out there but I wasn’t the slowest. I even got to visit some of the hillier sections again with control pick up! Below are the links to the maps on Rout Gaget for your viewing pleasure! I've been feeling a bit under the weather lately. My course load leaves little time for anything but homework and causes a lot of stress. I'm unable to make GVOC's weekly events and the orienteering I have done has been mistake ridden. In short, Kendra's post describes my situation all to well. However, this weekend, I was literally under the weather. The BC Orienteering champs took place in the pouring rain. The first event, a long, was held at Thetis lake. I was surprised to find myself swimming through raindrops rather than the expected salal. Instead, the course hopped between beautiful white hill tops. 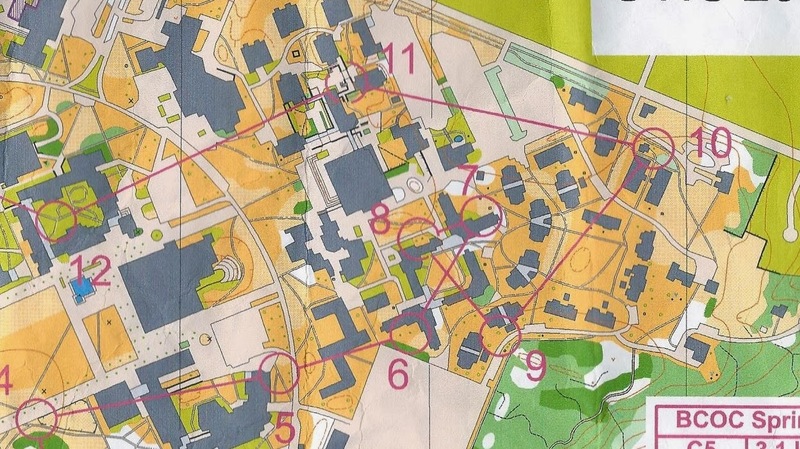 In spite of, or possibly because of the downpour, the race was the most fun I've had orienteering since JWOC. The other race at BC champs was a delightfully tricky sprint at the University of Victoria. Take a look and decide for yourself. The identical looking student housing might explain my trouble with 7. Maybe my problems stemmed from being a UBC student racing on the UVic campus. Either way, the sprint gave me a chance to practice my mental fortitude for the upcoming Canadian Championship. The BC orienteering champs were a blast but I'm sure the Canadian Championships will be even better. It is always easy to stay motivated when things are going well. This is true for everything! 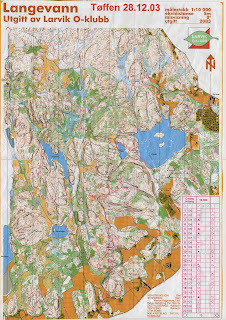 Here, talking about orienteering, it is applicable in numerous ways. Currently, I’m unfortunately on the other side the equation: it is pretty hard to stay motivated when things are not going great. Well to clarify: that may be an overstatement, but its not going stellar. The orienteering that I have done during the past few weeks, I may have been lost more than I have been found! This is always hard on the mind and motivation. Champs are a week away. When things are not going great, I tend to think more about the expectations I place on myself and why I am not meeting them. THIS IS NOT HELPFUL! Even when I realize that I am not helping myself, it is hard to change the attitude. So here comes sport psychology. Stay in the moment. Focus on the process, not the result. These are key to overcoming the lack of motivation and frustration. Focusing on the process, and staying in the moment, for me, capture the idea of completely letting go of any expectations you have of yourself. Thinking instead about the technical aspects, the physical aspects and the real reason why we orienteer: to have FUN! p.s. Thanks for the Ottawa Orienteering Club for putting on some great events that I could take advantage of! Every year the High Performance Program holds a silent auction fundraiser at the Canadian Orienteering Championships. This year the silent auction will be at the Orienteering Canada Expo and Banquet on Saturday afternoon/evening in Hamilton, ON. If you have an item to donate, you can bring it with you to Hamilton or send it along with someone who is attending (Here’s the list of attendees). Or contact Charlotte MacNaughton to make other arrangements or if you have any questions. You can also bring your item to the auction if you haven’t had a chance to submit it earlier. You can also leave it at the registration desk when you pick up your event package. Those of you who have been to one before know that the Silent Auction is a lot of fun, often with frantic bidding as time runs out. You never know what the highly sought after items will be. And if you can’t make it to Hamilton this year, there is always the option of allowing a trusted friend to bid for you! Just give a budget limit and an idea of what you want. The HPP is very appreciative of all the support we receive and we look forward to seeing you in Hamilton! Tonight was our last orienteering event of the year - Night Orienteering! Personally, my highlight of our local season. Now for those who haven't thought about it too much, one might ask "what is so special about that, isn't it always dark up north?" When is orienteering season for us? When there is no snow! When is there no snow? Summer! Does it ever get dark in the summer in the north? NO! Remember, we are known as the Land of the Midnight Sun. So, darkness and no snow is a very precious window for us, and so over the last few years we've tried to squeak in a night orienteering event when it starts getting dark, but before the snow comes. Actually, our first night-O event four years ago (at Yukon College map, thanks Bob for starting this up!) did have snow, but we've had lucky late-Septembers since then. This year we squeaked in one last event. The meet organizers figured it would only be the "hard-core" orienteers that might come out, so the decided to plan the race down on the Lorne Mountain map, about 40km south of Whitehorse. 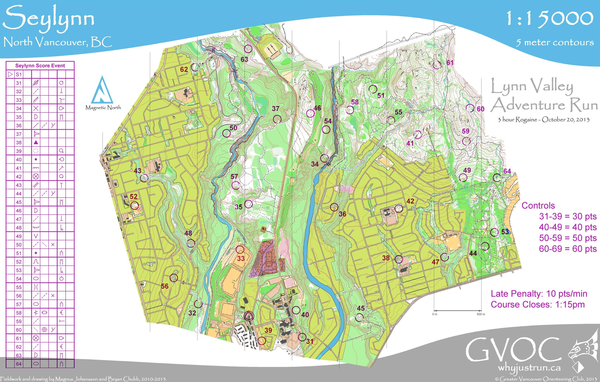 This is the same map area that Yukon Orienteering hosted the 2011 Canadian Sprint Orienteering Championships if anyone remembers. Typically, this map is "too far out of town" for our mainstream members, so we don't get a lot of use of it. So this made it a double-treat: night orienteering on a super sweet, high-speed open forest map we don't get to run on very often. Waiting around for it to get dark. Note Afan's washing machine drum-mobile fire pit - a life saver on a late September Yukon night! The Boys are Back in Town - Caelen and Leif! Leif figured mounting a car light on his head was a good idea. Unfortunately, he forgot to fully charge it before the race. Loading up control descriptions and getting ready to go! Excellent - Sprint map in the nice stuff! Parts of the Robinson Roadhouse map used for the 2011 COC Sprint. Ah, this is what we are looking for - the night time flash of the control. In reality, with a narrow-beam super headlamp this is what it looks like. See the flash and run like heck towards it. Afterwords, looking happy to have made it back. A close race, everyone in the 20's minute range! Ross, Erik and Caelen. Figurin' where the race was won and lost afterwords. Katherine and new baby in background. Pretty darn fun! Thanks Afan for being the event planner - a fun end to the season! As my orienteering season up here comes to an end I have a choice to make. This was my last year as a junior on the national team. Next year I will officially be a senior if I continue to orienteering. After I got back from JWOC I had a meeting with Brent to go over my races. After we talked about the races he asked me a very interesting question. 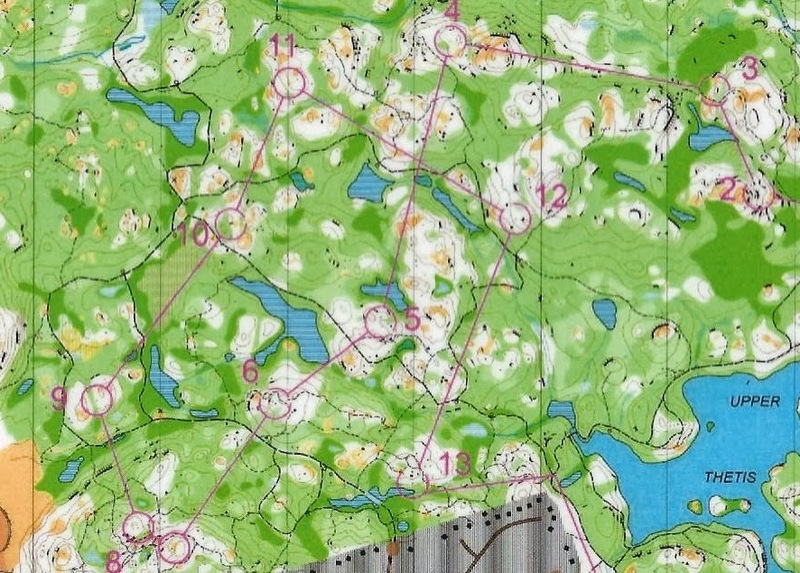 He asked me, “ So now that you have been to JWOC and this also you last year as a junior do you think you will keep orienteering?” That thought had not crossed my mind. Am I done competing or doing I want to continue training and aim for WOC? I feel like that is a big decision that every junior goes through when they are going to move up. It is not a question to take lightly. For the pass 2 years I have been traveling, working and training and I am now at that point in my life were I want to make a change. I have respect for all the orienteers who go to school, work and train their butts off. I feel like for me it would be very hard to go to school, train for a big competition and also have a part-time job because you also have to take a moment to breathe. I feel that I have taken a long enough break form school and I am ready to go back. That helped me with my decision about if I want to keep orienteering. I decided Yes I do want to keep orienteering but I want to take a few years to get better first before I try for WOC or any of the other big events. When I was thinking it over I kept thinking I love this sport and I don’t want to stop but I will have to slow down a little. I love all the opportunities I have had. I have met all lot of new people, made new friends and been to some amazing place just because I like to orienteering and it drives me to have these wonderful experiences. When it comes time for you to decide if you want to keep orienteering or not don’t make a snap decision, think it over long and hard!